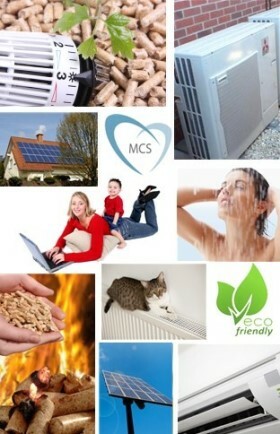 Are you thinking about installing Eco-Friendly Heating? Are you looking for a competitive quote? Then this website is for you! A free, no obligation quotation from Heating Quotes Direct is available to residents and business owners located in the counties listed on the right. If you want a professional, competitive quote for a new eco-friendly heating installation for one of the systems listed, please complete the heating quote request form which can be found on the relevant system page. One of the most efficient, eco-friendly systems that truly qualifies as being green, renewable & sustainable whilst also reducing your carbon footprint, is Solar Thermal Panels. As well as being environmentally friendly, Solar Panel installations can qualify for government grants under the Renewable Heat Incentive scheme (RHI), enabling you to earn money from your investment as well as reducing your fuel bills and carbon footprint. 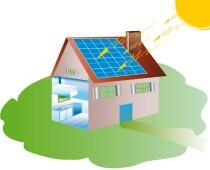 So if you really want to have a positive impact on the environment, then you should seriously consider installing Solar Panels as an integral part of your home heating system. For more information and to request a free, no obligation quote, please click here! Air Heat Pumps extract heat from the air itself, making them extremely eco-friendly as they are using a constantly available and free commmodity - AIR! They are extremely efficient, and some units can even extract heat when the external temperature is as low as -25°C, which as far lower than you are ever likely to experience in the UK. Approved Air Heat Pump installations may qualify for government grants under the RHI scheme, so you can earn from your investment. Wood pellet burning Biomass Boilers are a superb green & eco-friendly alternative to conventional gas or oil-fired central heating. They burn wood pellets made from discarded waste from the forestry and timber industries, including branches, sawdust, off-cuts and wood that is unsuitable for any other use. Biomass Boilers work in a similar fashion to gas & oil boilers. Pellets are fed automatically depending on your heating control settings. Although it isn't green or eco-friendly, Conventional Central Heating has been included for those who want to install new, or update old, gas or oil fired central heating.